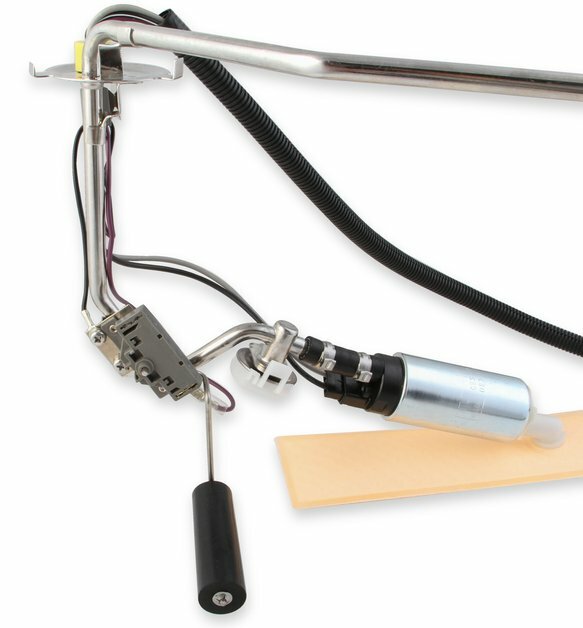 *** If installing on a Pontiac Firebird or Trans-Am that originally came with a Pontiac based engine, the existing fuel line to the engine will have to be replaced. The Pontiac engine has the stock fuel pump located on the driver's side of the engine block. Thus, the factory fuel line is routed through the driver's side of the chassis to the engine compartment. 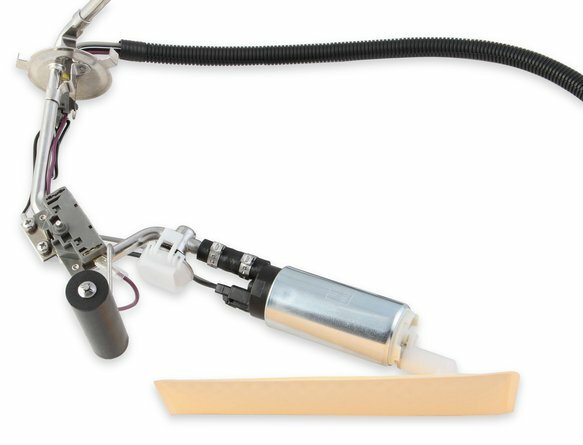 This fuel pump module was designed to route the fuel line on the passenger side of the chassis to work with the small block Chevrolet stock fuel pump location of the Camaro platform. Fuel line routing through the passenger side of the chassis. During the mid 80's and early 90's Pontiac offered both brands of engines in the Firebird platform. 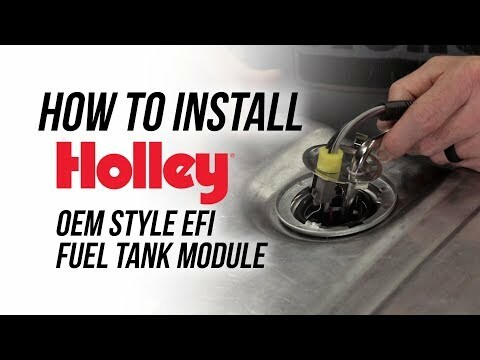 Converting the carbureted fuel system on your car or truck over to EFI has never been easier! 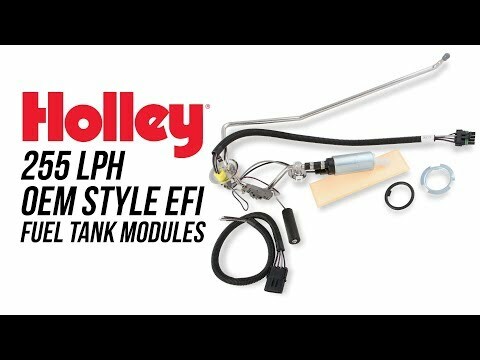 Holley is excited to introduce our Holley OE style fuel tank modules that are designed as a direct replacement for your factory pick-up and sending unit. 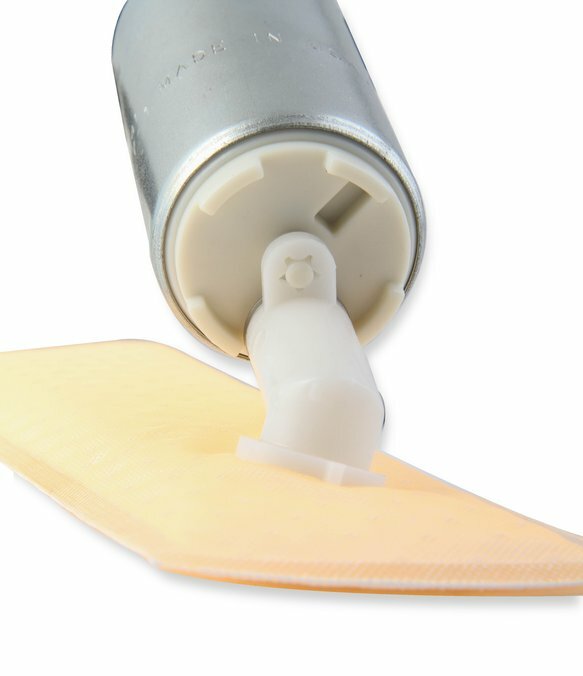 There is no need for modifications and you will not have to replace your fuel tank. 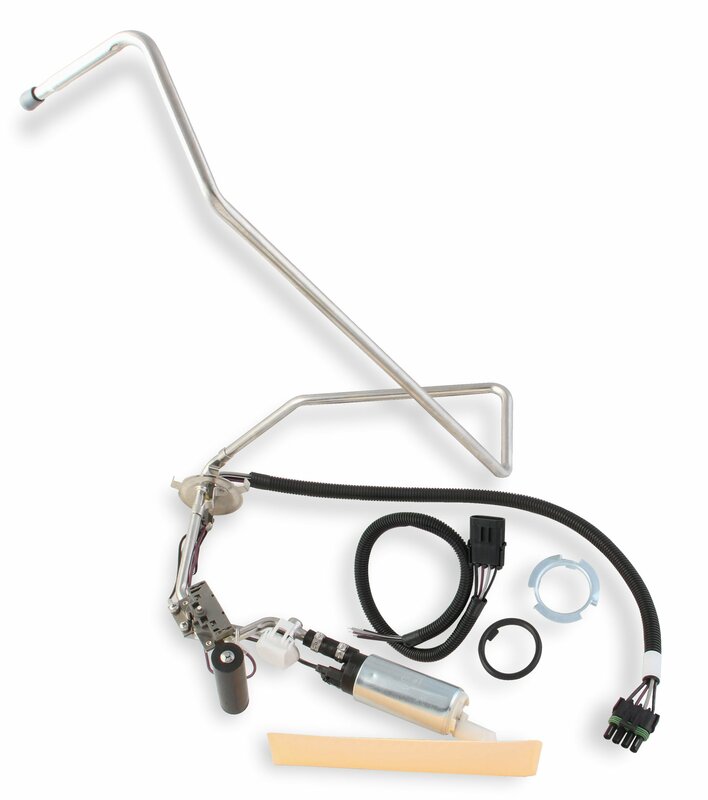 You can even retain the factory fuel hard line, just connect the outlet of the pump module to the hard line on your vehicle with some EFI rated fuel hose and hose clamps such as the Earls Vapor Guard.